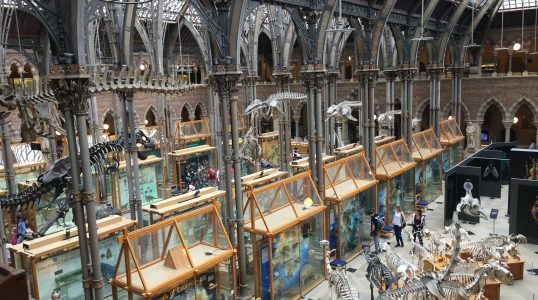 Located at Oxford University, The Pitt Rivers Museum was founded in 1884. Its collection includes a variety of donated anthropological objects from the private collection of the retired Lt- General Augustus Pitt Rivers. Besides clothing, pottery, and various weaponry, the museum also has numerous photos on display.